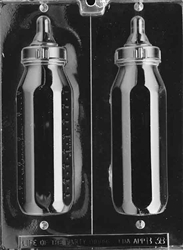 The 8 Ounce Baby Bottle Mold makes a 3D life size, life-size like bottle. Each piece is 2-1/8" x 7-3/4". 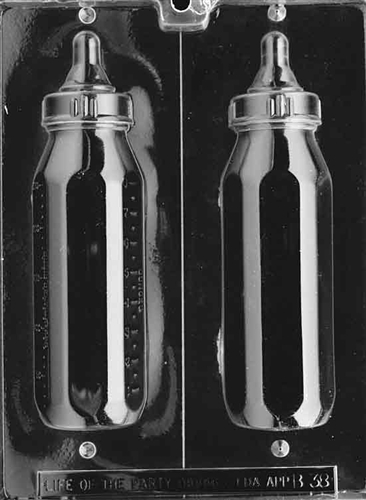 2 cavities per mold makes one 3D bottle per pour. Estimate 11 ounces of candy wafers per piece.